Yacht Jeanneau 53 named Big Fella Thanks was produced in 2014. We propose this vessel from port Valletta in the region: Malta. Big Fella Thanks is certified for 12 pax. Layout of the sailing boat is 12. 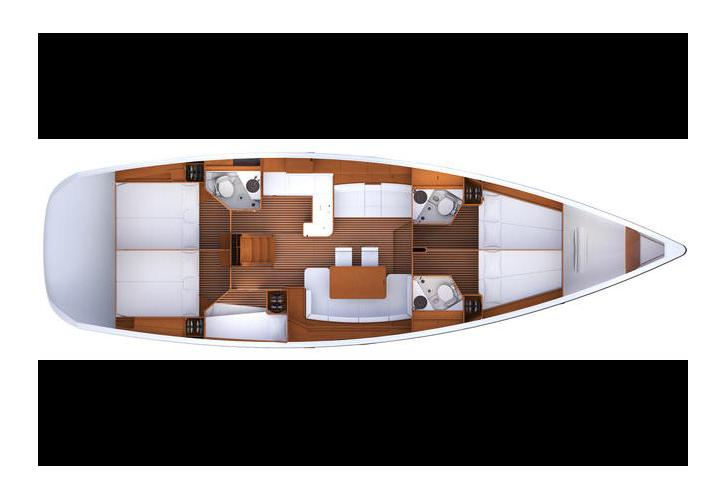 Jeanneau 53 Big Fella Thanks has 6 bedrooms. For comfort of passengers there are 4 toilettes. You can fill the diesel tank with 420.00 l l. and in water container it goes even 950.00 l l. With engine 110 HP Big Fella Thanks can sail really fast. Big Fella Thanks is 16.10 m long and 4.77 m wide. Depth is 2.28 m. Get more more offers by going to this section: Yacht charter Valletta. Boat's equipment includes : Autopilot, Gps plotter, Bimini top, Teak deck, Bow thruster, Furling mainsail, Radio / cd player. . Nonrefundable deposit is 3000.00 EUR. Choose our offer and spend great time on the deck of Big Fella Thanks. This Jeanneau 53 from Valletta from Malta Use our search engine to find following this link: Yacht charter Malta.